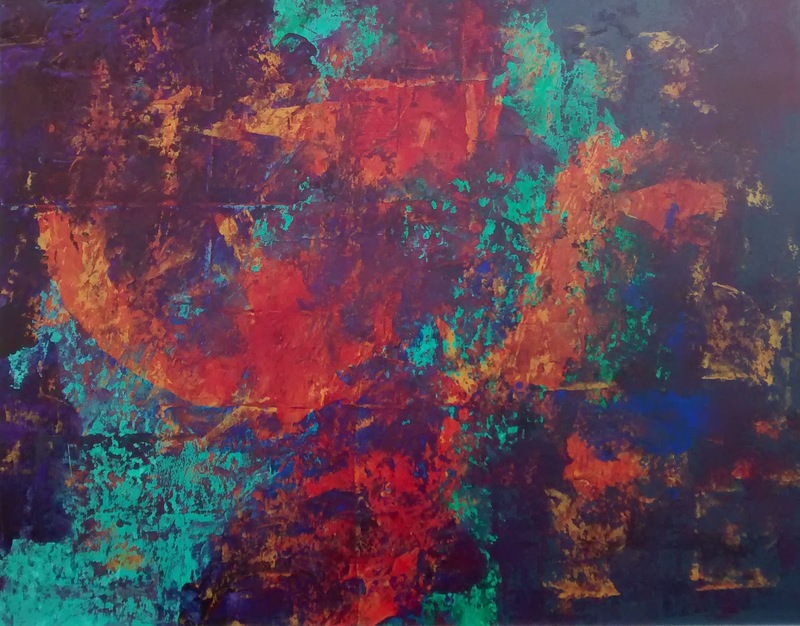 Abstract artist Curtis Stromme does not title his creations, allowing viewers to provide their own interpretation and connection to the artwork. He surrounds his paintings with simple chrome frames so as not to detract from the art, which makes them seem to extend beyond their boundaries. Stromme will be the featured artist in January at the Sutter Creek Gallery. He also produces what he calls art trading cards. These 2.5 x 3.5-inch abstracts are painted on mat board. Some of these cards come mounted on paper and can be framed for display. For additional information, call 209-267-0228, email suttercreekgallery@gmail.com, or visit www.suttercreekgallery.com. In January, Gallery 10 will feature artworks and materials that have been enjoyed and used and now offered to others to enjoy and use. “A Second Chance” is a way to share paintings we have enjoyed, supplies we no longer use, at prices that encourage others to take a turn. There will be paintings from some wonderful artists, pottery pieces that may have been overlooked but still shine like new, jewelry that is being offered at closeout prices and art supplies that Gallery 10 artists no longer need but are in good condition. The gallery will have a reception on Saturday, January 5, 2-4 P.M. and all are welcome to celebrate the New Year with us! Peruse the collection of goodies offered at astonishing prices, sip a beverage, munch a snack, and enjoy the afternoon! Gallery 10 will be open 11-4 during the winter months, at 15 Eureka St., Sutter Creek. “A Second Chance” will be available all of January. Gallery 10, in Sutter Creek, welcomes Steve Holler as the featured artist for the month of December. The concept of connection is fundamental in the execution of Holler’s acrylic paintings and graphite drawings. The connection between the painter’s interpretation of a subject and the emotional connection made by the viewer is at the essence of the artistic experience. 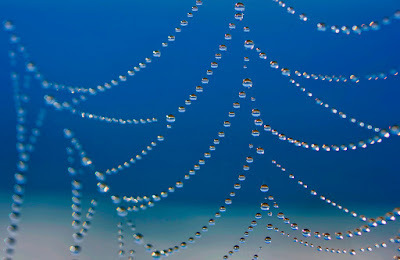 It is the artist’s goal to interpret his subject with a unique and personal point-of-view. Selecting the subject, may come through a long period of evaluation or it may be an instantaneous moment of inspiration. Perhaps the most magical connection is made when the work of art is viewed by an audience. Each viewer will bring an individual response to the same painted image. The color, texture, shapes, subject matter, etc. may have unique interpretations by each member of the audience. 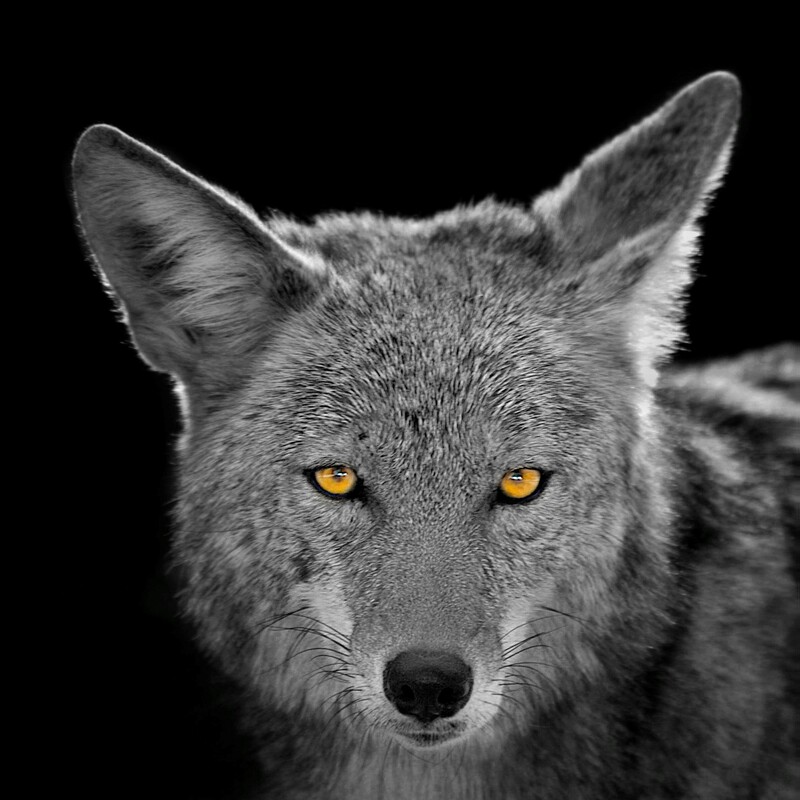 The viewer will make an individual connection with the image or have no response at all. This is the challenge for the artist and an opportunity for the viewer. 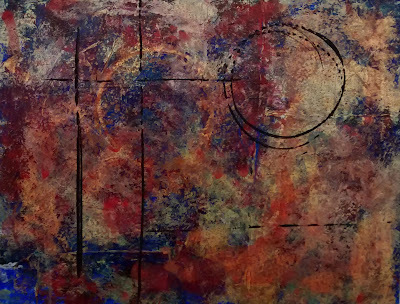 The December show at Gallery 10, “Recent Connections”, will introduce a new direction that the artist has been exploring. 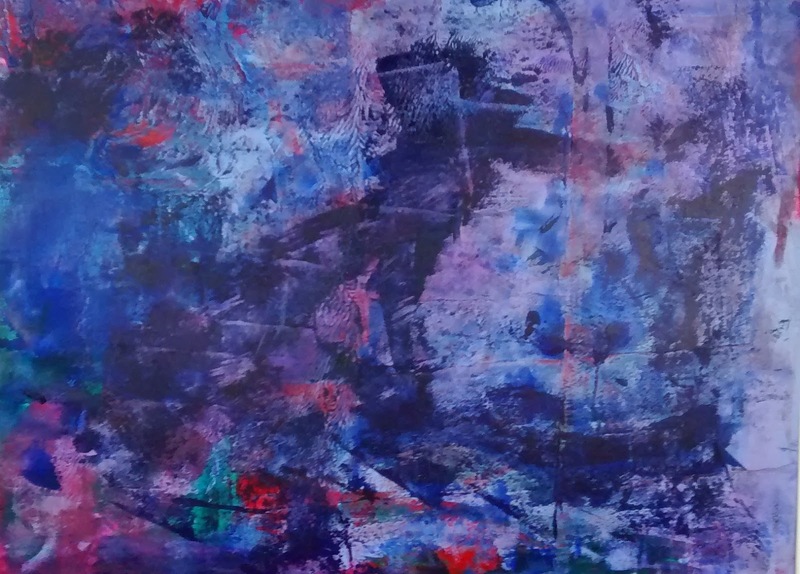 These new images combine acrylic paint and graphite in one image statement. One image composition has been segmented and translated in both media to form a single image statement. 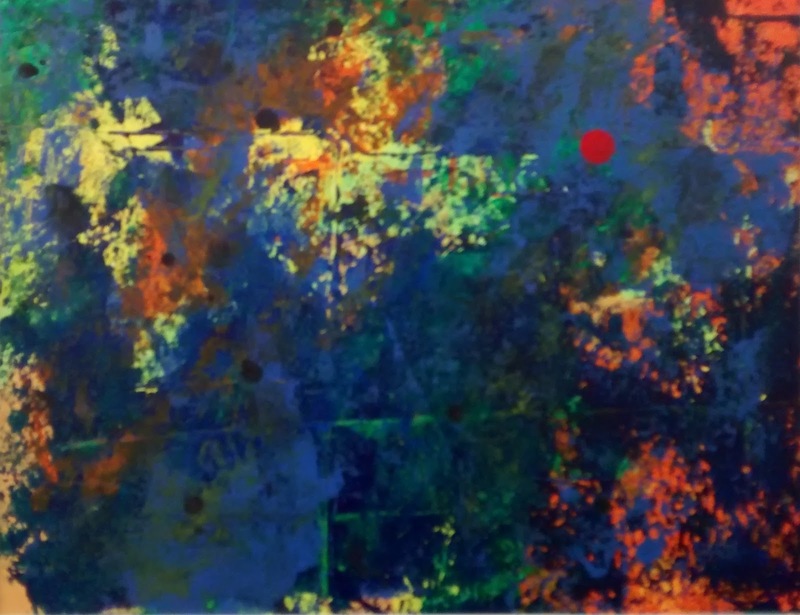 These new works will give the viewer an opportunity to experience “connection” through an unexpected visual. Mr. Holler holds a BFA degree from the Kansas City Art Institute, an MFA degree from the California College of the Arts, and has completed additional graduate study at Yale University. Gallery 10 is located at 15 Eureka Street, Sutter Creek. The show will hang all of December. Gallery hours during the holidays will be 11-5 every day! Well known local artist Jeannie Vodden will be our demonstrator for November. 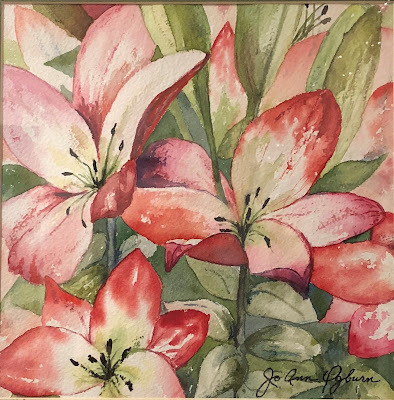 Jeannie, whose media is most often watercolor, is a versatile painter of portraits, still life, floral, landscape and fantasy. Her method is to use a glazing process, in which she applies layer upon layer, changing color and letting it mix on the paper. Jeannie says she uses a very limited palette., starting with only three colors, and then sometimes broadening the choices to six or eight, very seldom using more. The demonstration will be after the business meeting on Wednesday, November 14 at the Amador Senior Center, and the public is welcome to attend. Watercolor is the favorite medium of the artist, having explored a variety of media throughout her career. Most of the time she paints on traditional watercolor paper. More recently Day has rendered paintings on newer surfaces such as Yupo and Aquabord, which provide a more fluid look. 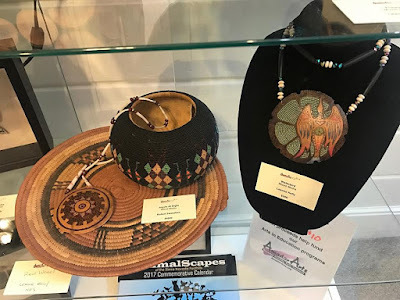 Visitors to Sutter Creek Gallery will have an opportunity to view her work on all these surfaces during November when Day will be the featured artist. Day teaches art locally to both children and adults. 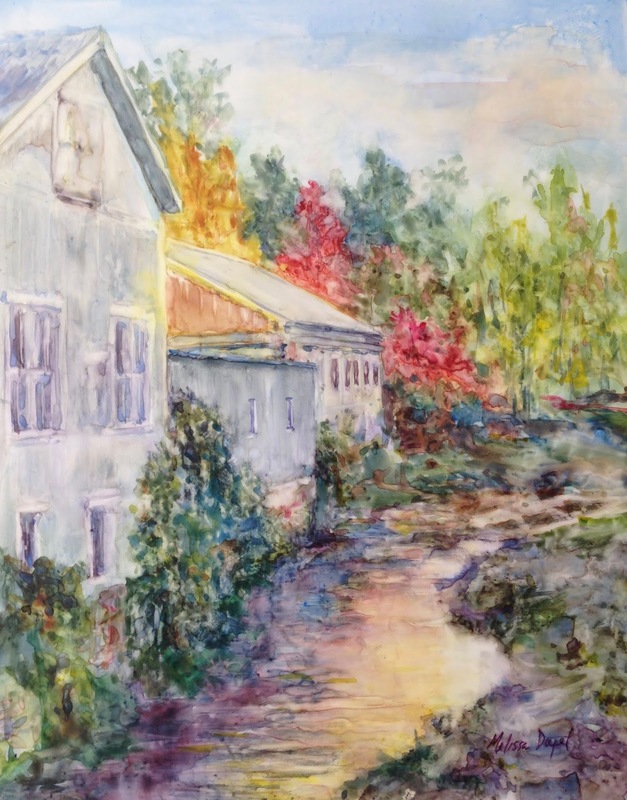 During the school year, she teaches watercolor painting to local fourth graders as part of the Arts Council’s elementary arts education program. In the summer she returns to her former Southern California home to direct a week-long children’s art camp. 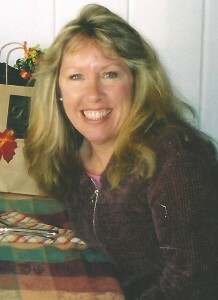 She has illustrated three educational children’s books as well as numerous posters and brochures. Day also handles framing duties at the gallery. Sutter Creek Gallery invites you to spend some time with Judy Day at a reception in her honor on Saturday, November 3, beginning at 2 p.m. She is one of 25 artists exhibiting at the gallery located in the heart of Sutter Creek at 35 Main Street. The gallery is open Sunday, Monday, Wednesday and Thursday from 10 a.m. to 5 p.m., Friday and Saturday 10 a.m. to 6 p.m. For additional information, call 209-267-0228, email suttercreekgallery@gmail.com, or visit www.suttercreekgallery.com. Gallery 10 is pleased to present “Seeing Color in Clements, Ca.” featuring Marilyn R. Eger. The show will occur October 31st through November 25, 2018 at Gallery 10, 15 A Eureka Street, Sutter Creek, California. There will be an opening reception for the artist on Saturday, November 3rd from 2 to 5 P.M. The event is free to the public and is sponsored by Gallery 10. For more information, call (209) 267-0203 or visit gallery10.org. While Eger’s media of choice is oil, as well as pastel and acrylics, she feels like a sculptor when painting because she can chisel out the images as though they were stone. 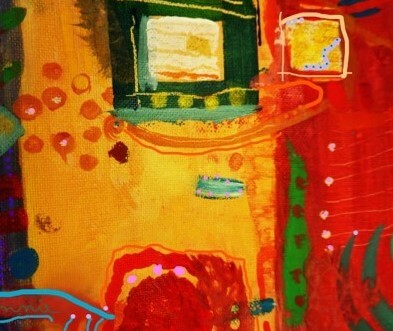 Marilyn is also drawn to reflected light and she has a deep passion for vibrant color. Her intent is not to be a camera but to convey her feelings and sensations at that moment in time. Color notes laid down, one against another, without hesitation is a perfect moment in time. 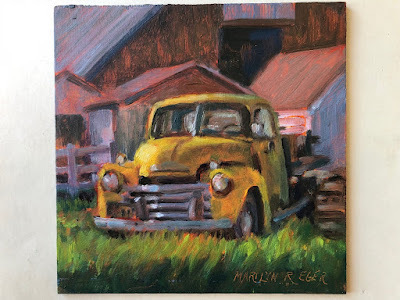 Marilyn’s paintings are impressionistic in style as she tries to catch the fleeting light of the golden hour. Antique relics recur in Eger’s work in the form of old, rusty cars and tractors. Those items bring back moments on her Grandma’s farm when life was sweet and simple. Since Eger retired from teaching art a year and a half ago, she is now painting, or in the fields with her husband. Sometimes she is on the tractor and other days she is driving the Kawasaki Mule to trees that need tending as well as landscaping the garden with her husband Jerry leading the way. Marilyn’s paintings are a part of her everyday life. They are an extension of her identity. The small farmer is vanishing and these paintings document this vanishing past. Eger believes art and the creative process is a force of consistency in her life. Her work allows her to endure life’s difficulties. Marilyn Eger is a survivor, of not only cancer, but of life. These small interpretations of rural life, take you back to a childhood memory, as well as the blood, sweat and tears the land demands of its inhabitants. 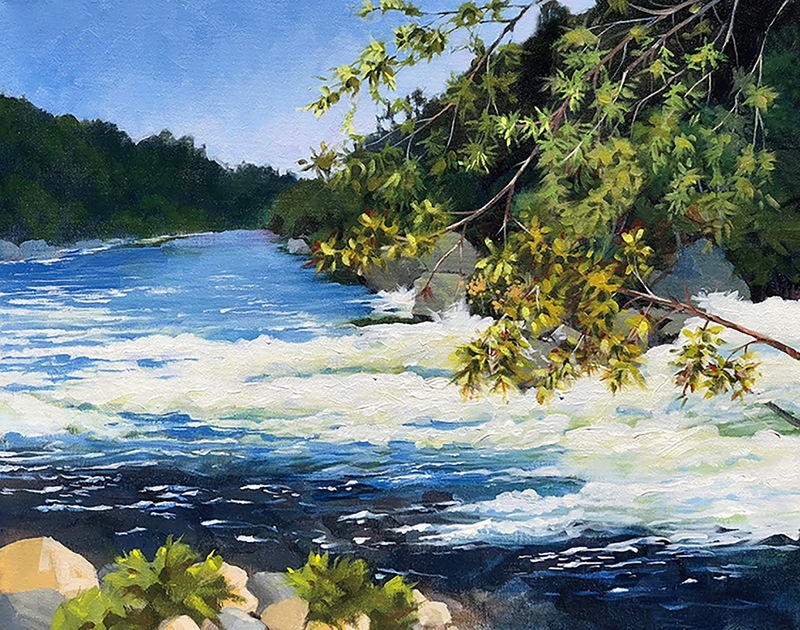 “I am primarily a plein air painter. When this is not possible, my own photos are used as a point of departure. I am inspired by the area I live in and things around me, such as the Clements landscape, old tractors and cars, curious cattle, the sunsets/sunrises and the flowers from the garden. I am also drawn to reflected color in all kinds of items especially, bottles. I have a deep passion for vibrant color.” explains Marilyn Eger. All she ever wanted to do was create art. Her media of choice is oil, pastel and acrylics in that order. She feels like a sculptor when painting because she can chisel out the images as though they were stone. As a young girl Marilyn’s parents encouraged her, by enrolling her in art courses and creating a studio in the back of their antique shop where she would spend hours painting. Antique relics recur in her work in the form of old, rusty cars and tractors, as well as antique lanterns and jars. Throughout her life she values a strong art education and will never stop learning. Eger earned a Bachelor of Arts from California State University, Stanislaus in Art. She also received teaching credentials from Chapman College and her M.F.A. at the Academy of Art in San Francisco, Ca. in 2013. She believes art and the creative process is a force of consistency in her life. 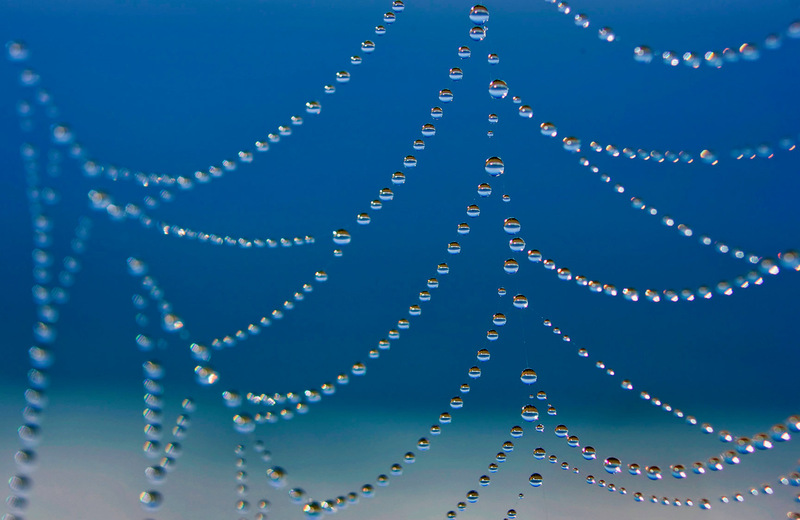 Her work allows her to endure life’s difficulties. Eger is a survivor, of not only cancer, but of life. Marilyn Eger lives in Clements, California with her husband Jerry, their chocolate lab, “Hot Chocolate” and their Great Pyrenees, Sandy. For more information, call Julie Trail at (209) 267-5490, or visit gallery10.org or call Marilyn Eger at (209) 357-8518 cell, or visit www.marilyneger.net. 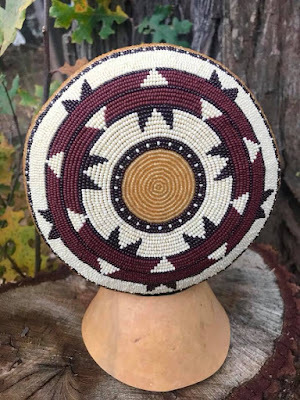 Robert Swendsen will Demonstrate at October Meeting Robert Swedsen’s beadwork on gourds will be the demonstration at the monthly meeting on Wednesday, October 10. He has won numerous awards for his work and has had his pieces featured in magazines. Artistic or functional, potter Marcus Tikotsky can do it all. 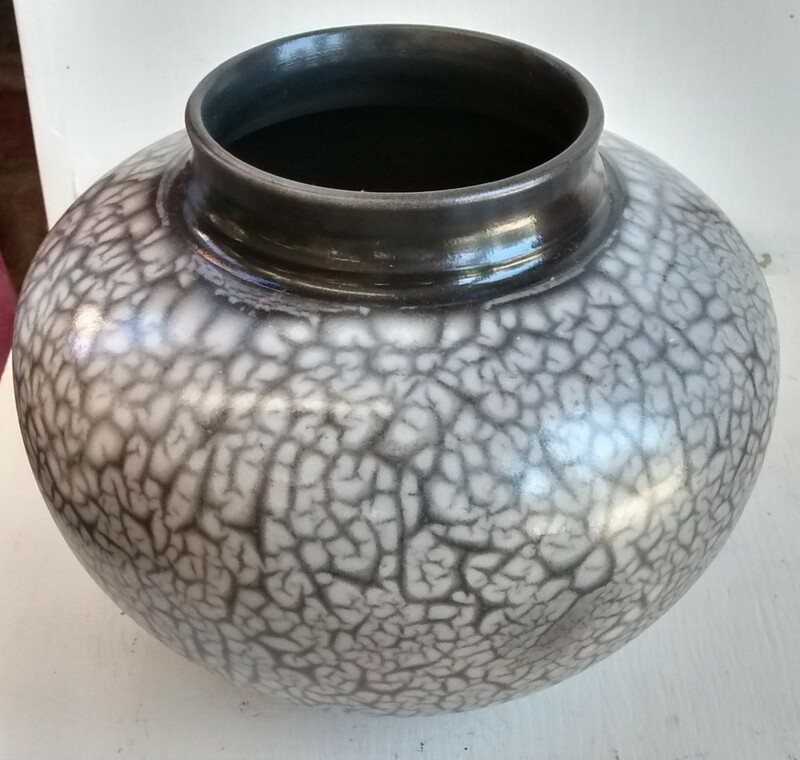 He creates decorative vases, urns, and raku vessels as well as sets of mixing bowls, coffee mugs and candy dishes. Tikotsky and his unique collection will be featured in October at Sutter Creek Gallery. 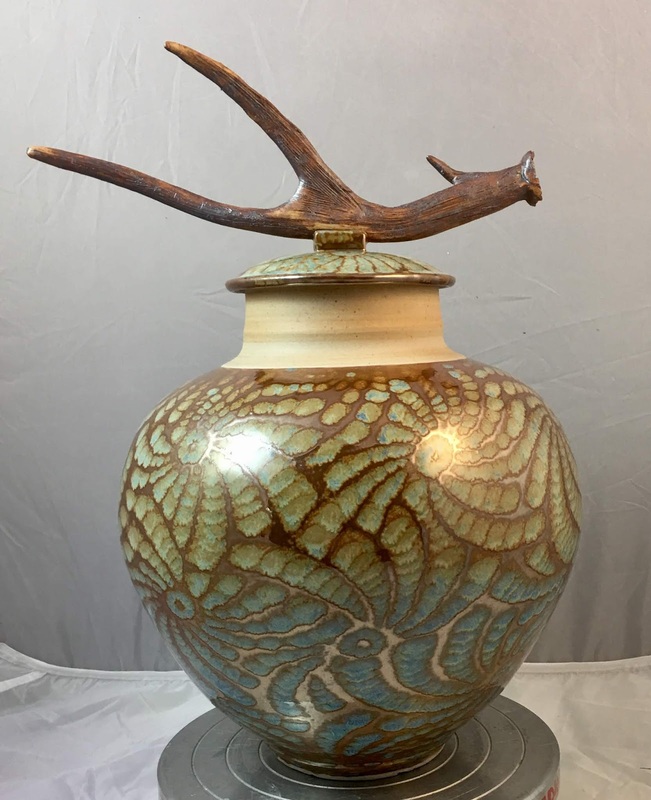 While attending high school, Tikotsky was introduced to ceramics which became an outlet for creativity and expression as well as a lifetime passion. 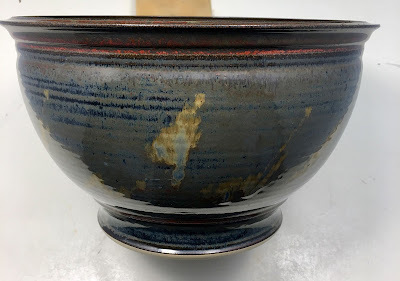 “I enjoy making functional pottery and pay close attention to form, fit, and function, striving for balance and beauty in simple forms and shapes. I focus on the little details that most might not notice, always aiming for perfection.” He has also found great joy in the expressive and creative process called raku, developed by the Japanese around 1600 BC. 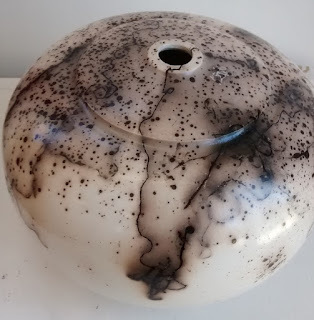 Modern American raku differs although the basic firing process is similar. American raku uses a variety of vibrant glazes applied to traditional and altered forms. Here again, Tikotsky strives for simplicity using minimal visual elements. Rather than attempting to impose a specific statement, he wants the observer to provide his or her own interpretation and emotional connection with the pottery. Tikotsky earned a Bachelor of Art from Sonoma State University. Over the years he has taught recreational pottery while serving in the United States Air Force and through a local community recreational facility. Currently, he volunteers four days a week at the pottery studio located at Chabot Community College in Hayward. He provides background support, managing and maintaining such areas as the chemical and glaze rooms, loading and firing the cone 10 gas kiln and assisting students in the development of their throwing skills. Sutter Creek Gallery invites you to meet Marcus Tikotsky at his reception on Saturday, October 6, starting at 2 p.m., and to view his ceramic creations. Twenty-five artists exhibit at the cooperative located in the heart of Sutter Creek at 35 Main Street. 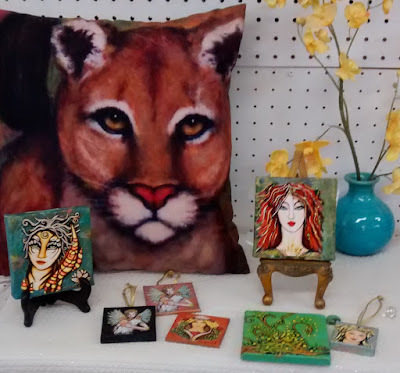 The gallery offers original paintings, photographs, fiber and glass art, gourds, jewelry, prints and cards. Framing is also available. 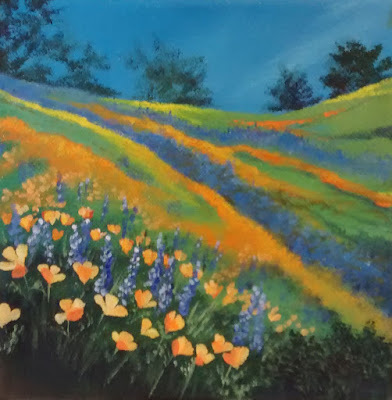 The gallery is open Sunday, Monday, Wednesday and Thursday from 10 a.m. to 5 p.m.; Friday and Saturday from 10 a.m. to 6 p.m. For additional information, call 209-267-0228, email suttercreekgallery@gmail.com, or visit www.suttercreekgallery.com. Sarah Wagner will demonstrate at the next ACAA meeting on Wednesday, September 12 at 7pm. 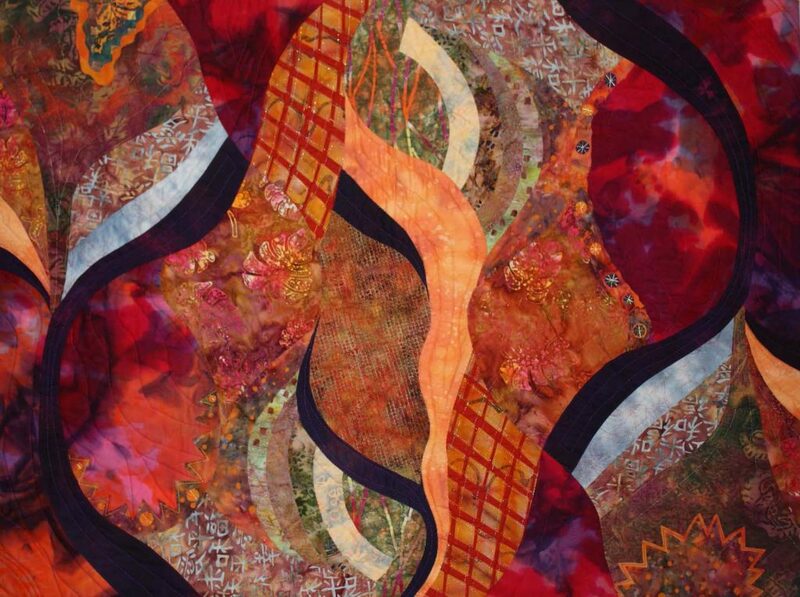 Sandra is a fiber artist, a fabric hand dyer, surface designer, and designs wearable art. Fabric has been in her life as long as she can remember starting with doll clothes. She is a past quilt shop owner and now teaches workshops in fabric art, one of a kind garment and fabric dyeing. 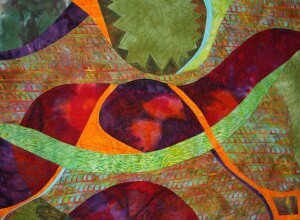 She has taught private classes, at guilds and Houston International Quilt Festival. Wagner has shown nationally and internationally, in galleries, and has pieces in private collections throughout the United States. She is a member of Studio Arts Quilt Association, STASH Art Group, Art Focus Quilt Group, Sierra Gold Quilters Guild, Sutter Creek Gallery, Mendocino Art Center, Amador Arts Council, Amador County Artist Association, and International Quilt Association. The demo will start after the business meeting on September 12. www.amadorartists.org. 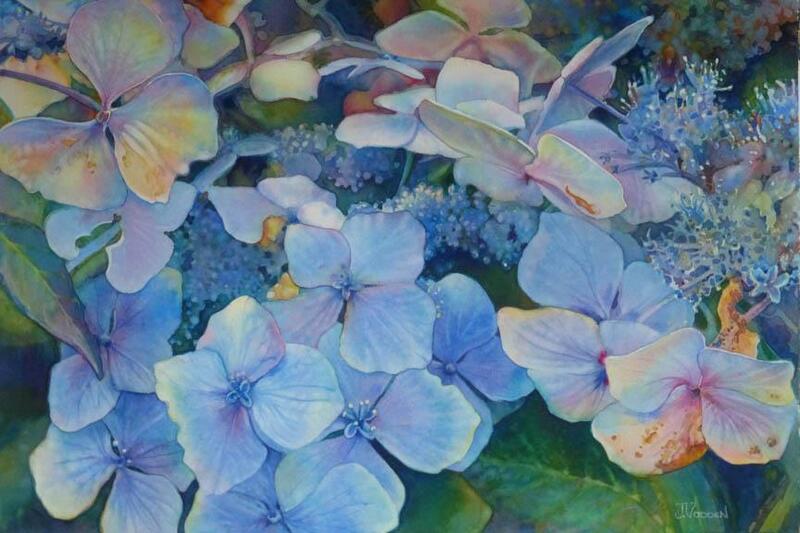 The September featured artist for Gallery 10, 15 Eureka St., Sutter Creek, will be guest artist Bruce Hancock. A reception in Bruce's honor will be held on Saturday, September 1, 2-5 P.M. at the gallery as part of the Amador Art Trek. 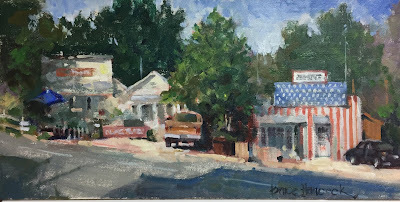 We are delighted to have Bruce as a guest artist, as he often paints foothill scenery en plein air here in our own backyard. The quality of his work is outstanding and his enthusiasm for painting local scenes is boundless! Bruce is a 4th generation native Californian. He was born in San Francisco and grew up in the Great Central Valley towns of Modesto and Fresno. Following his discharge from the Air Force in 1968, Bruce located in Sacramento where he has lived ever since. Although interested in art as a child, Bruce did not begin a serious study of painting until late in life. Approximately 15 years ago he attended a workshop in Amador City presented by well-known Western and Gold Country artist Howard Rees. That started a passion for painting that persists to this day. 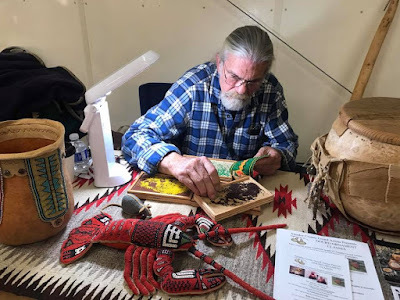 Bruce has studied with many gifted artists and art instructors including Dan Edmondson, Qiang Huang, Fongwei Liu, Kathleen Dunphy, Michael Siegel, Suchitra Bhosle, Craig Nelson and Terry Miura. Now retired, Bruce dedicates full time to oil painting. He regularly paints landscapes, figures and portraits and still life subject matter. 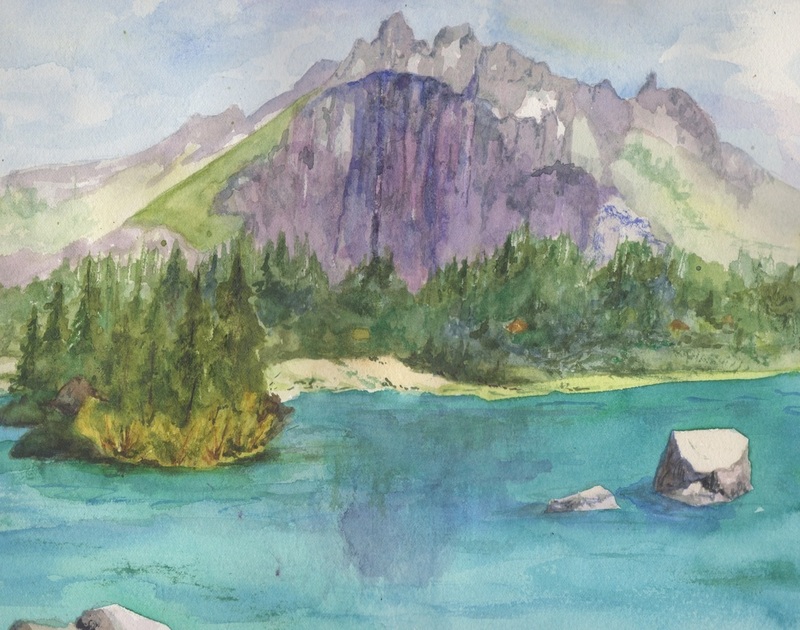 The practice of plein air painting – painting outdoors from life – is a favorite pursuit. “I have to admit that I feel the pressure of time. There is so much to learn, to experience and to paint. But the artist’s journey never truly ends, no matter when it started. Haggin Museum Stockton California: 60th Annual National Juried Exhibition. June, 2018 "Backstreet Locke"
After a distinguished 37-year career as a photojournalist, most of which was with the San Francisco Chronicle, Michael Maloney is now retired and living on 12 acres of land in the nearby community of Volcano. 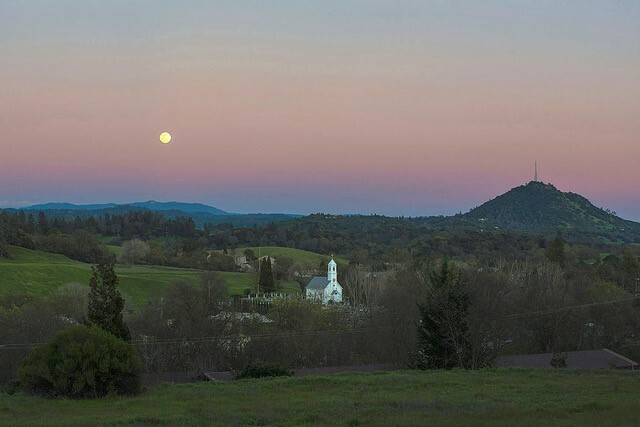 Since the fast-paced, always-a-deadline world of news and sports photography is behind him, Maloney is enjoying the slower tempo of the Sierra foothills where he is focused on his passion, using his camera to capture all the beauty he sees in nature. 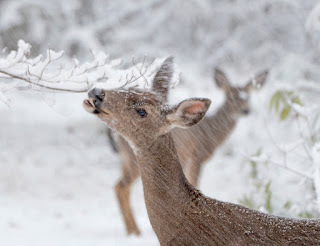 Maloney is self-taught in photography, starting back in the days of film and darkrooms to his current use of the latest in digital cameras and photo processing. 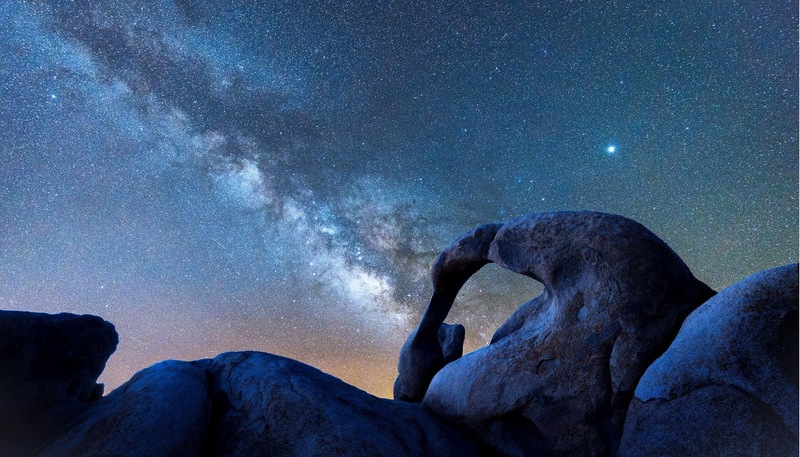 His first love was landscape photography which took a back seat when he landed a job in 1973 as a staff photographer at a small newspaper in the San Francisco Bay Area. His striking images eventually attracted the attention of the Chronicle which offered him a staff position in 1980. While there, Maloney embarked on a wide variety of assignments which took him literally around the world. Sports photography is what he enjoyed the most, covering many Super Bowls, the World Series, World Cup soccer and the Olympics. 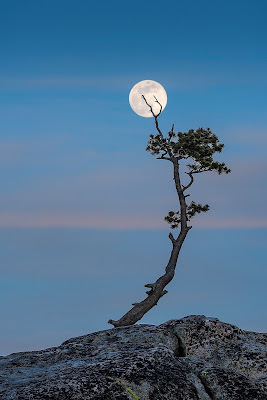 In 2009 he retired and has now returned to landscape photography. Many of Maloney’s scenes are suffused with inky blues set off by vibrant pinks and oranges. Some feature the rising moon or the Milky Way, as in “Bonsai Moonrise” and “The Arch and the Milky Way.” Photographing the natural world has taken Maloney to the top of mountain peaks and down to the seashore. He’s recorded animal images both around his home and farther afield, such as the dramatic “Coyote Eyes” taken in Yosemite. 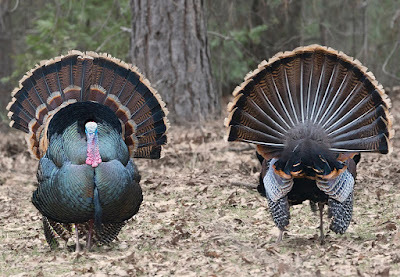 Deer and turkeys, which flourish in this area, are captured in other shots. Sutter Creek Gallery invites you to meet Michael Maloney at his reception on Saturday, September 1, starting at 2 p.m., and to view his unique photography. Twenty-five artists exhibit at the cooperative located in the heart of Sutter Creek at 35 Main Street. Besides, Maloney’s photographs, the gallery offers original paintings, fiber and glass art, gourds, ceramics, prints and cards. Framing is also available. The gallery is open Sunday, Monday, Wednesday and Thursday from 10 a.m. to 5 p.m.; Friday and Saturday from 10 a.m. to 6 p.m. For additional information, call 209-267-0228, email suttercreekgallery@gmail.com, or visit www.suttercreekgallery.com. 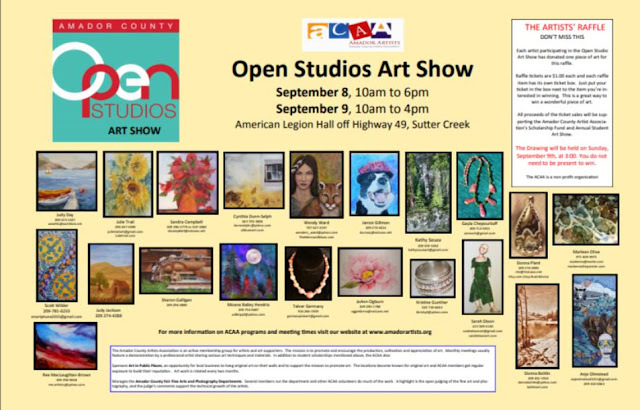 In September, the Amador County Artists Association (ACAA) will be holding its Open Studios Art Show in one location. Instead of a driving tour around the county, this year artists will be centered at the American Legion Hall in Sutter Hill on Saturday, September 8, and Sunday, September 9. Twenty artists will be on hand to not only show and sell art but also to demonstrate their craft at this free event. On Saturday, the exhibition will run from 9 a.m. until 6 p.m. Sunday hours will be 10 a.m. to 4 p.m. A variety of artwork will be on display: paintings, photographs, jewelry and more. Visitors can choose among watercolors, acrylics, collages, charcoal and pastels. Some are representational and others abstract. Two media that may not be familiar are paintings using encaustics and alcohol ink. Participating artists—and a few others—will be donating a piece of artwork or other item to be raffled off on the last day. Tickets are $1 each and all of the money raised from the raffle benefits ACAA scholarships and the spring high school student art show. Last year, two $1,200 scholarships were awarded. Having Open Studios in one spot will allow residents and out-of-towners to see more work by more artists and maximize the number of people who can visit the exhibition. 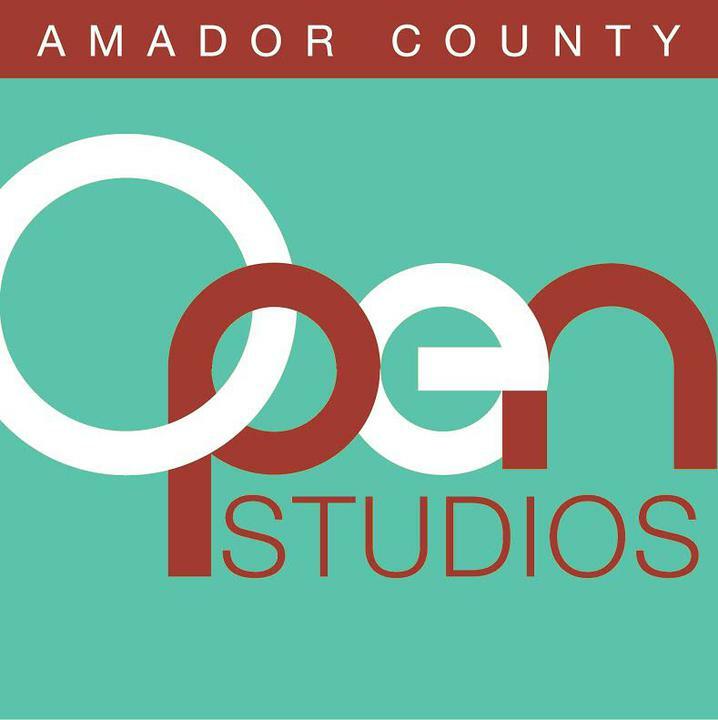 Entry into the hall is free so come enjoy the wealth of artistic talent Amador County has to offer. The ACAA, a non-profit organization, is an active membership group for visual artists and art supporters. Its mission is to promote and encourage the production, cultivation and appreciation of art. 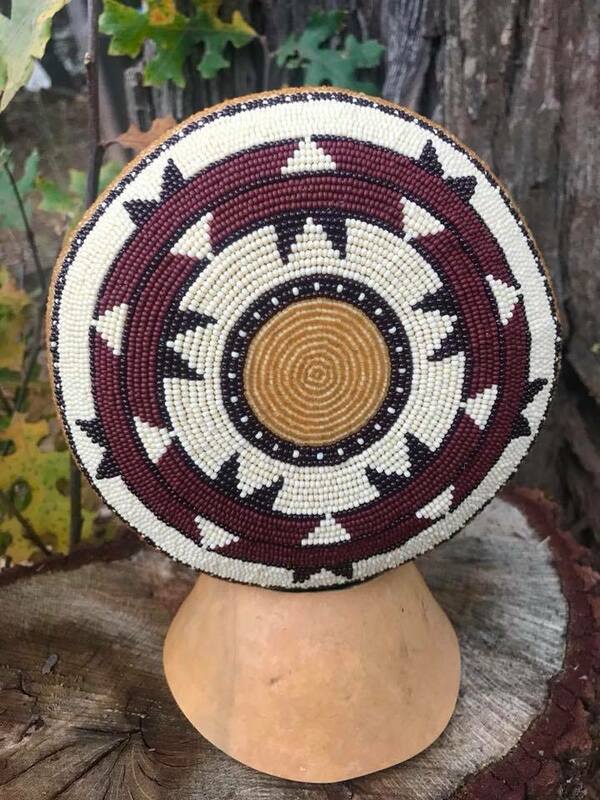 Additional information is available at our website, www.amadorartists.org, or by contacting Cynthia Dunn-Selph at 623-703-3806 or dunnselphc@yahoo.com. Customers often come into the gallery seeking local scenes to memorialize their visits to the area. Many of our artists regularly produce such scenes with the creek that flows past our southern flank a long-time favorite. 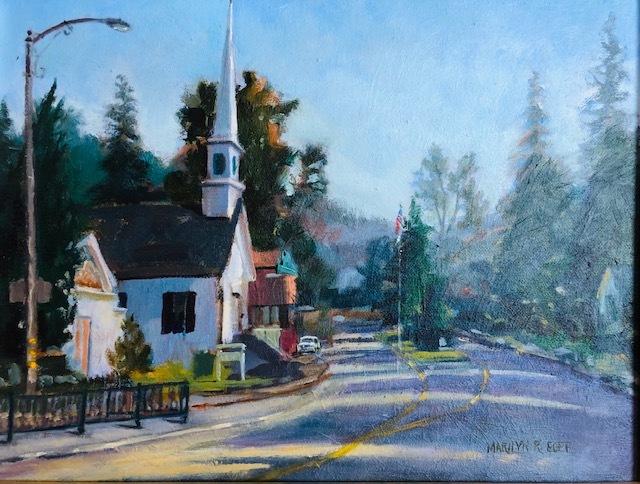 Instead of featuring one artist for the month of August, members of the cooperative have been invited to create artwork depicting locations around the county for a show entitled Impressions of Amador. Some of the art may depict historic sites, such as the delicate pink and green watercolor rendering of the Chichizola Store by Mary Sue Palmquist. Photographer Michael Maloney has captured the moon ascending into a pink and blue sky over St. Sava Church. Silver Lake, another artistic favorite, will be represented by JoAnn Ogburn’s watercolor of the majestic Thunder Mountain towering over the lake. 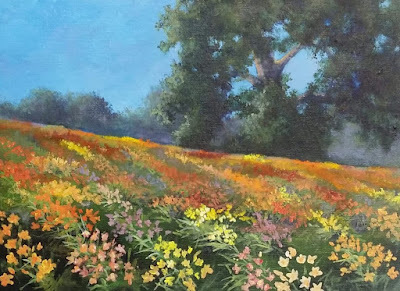 At a recent plein air session at the Flower Farm, Wendy Rogers painted rows of multi-hued day lilies backstopped by oaks. In a nod to whimsy, the quirky Ridge Road carnival rides and parade of animals is captured by Cynthia Dunn-Selph’s camera. 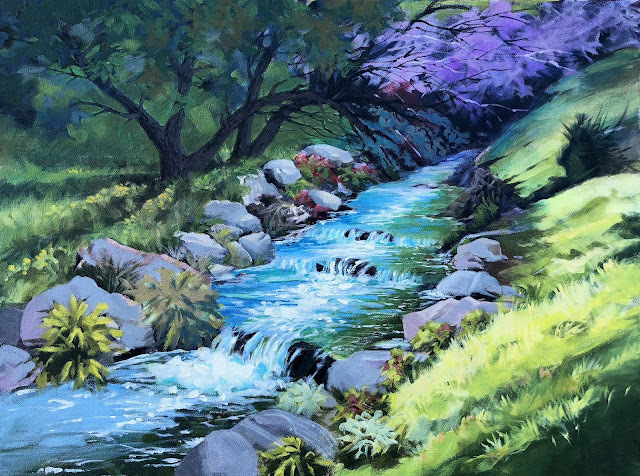 And, yes, we will have scenes of our creek—several versions, in fact—along with Nancy Robinson’s photographs that she calls Sutter Creek Treasures. All these and many more will be on display with an opening reception on Saturday, August 4, starting at 2 pm. Come join us for refreshments and to meet this talented group of artists and view their work. Twenty-five artists exhibit at the cooperative located in the heart of Sutter Creek at 35 Main Street. 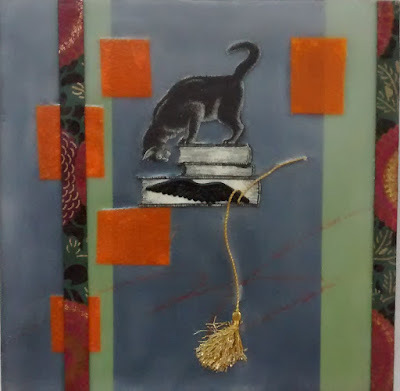 Besides original paintings, the gallery offers photographs, fiber and glass art, gourds, encaustics, ceramics, prints and cards. Framing is also available. The gallery is open Sunday, Monday, Wednesday and Thursday from 10 a.m. to 5 p.m.; Friday and Saturday from 10 a.m. to 6 p.m. For additional information, call 209-267-0228, email suttercreekgallery@gmail.com, or visit www.suttercreekgallery.com.